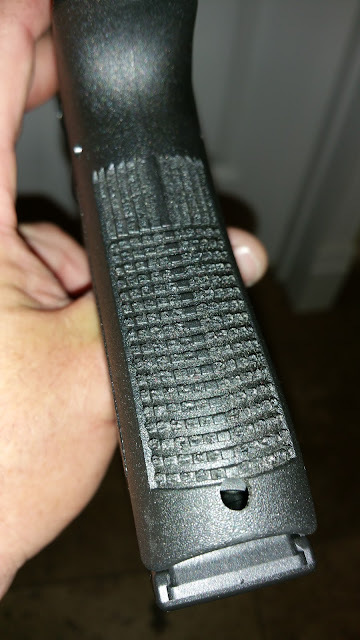 looking for a company to do some stippling on my g17. Who have you guys used? Pics also encouraged. I don't need anything to crazy, just want to add some traction to my gen 3 frame. This puzzle matrix texturing is my current favorite. Buy once, cry once. Their pricing says it's $150 until 1 May. I assume that means it's going up after 1 May. Might want to get it out to them soon if you think you want it done to yours. 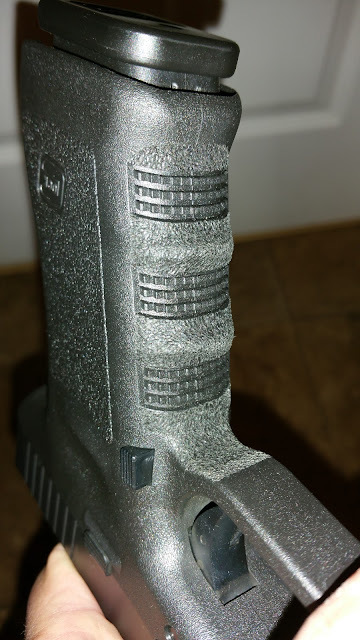 I have a few ZEV guns and the stippling on them is fantastic. Not as cool looking as the photo above, but very well done and a killer grip. 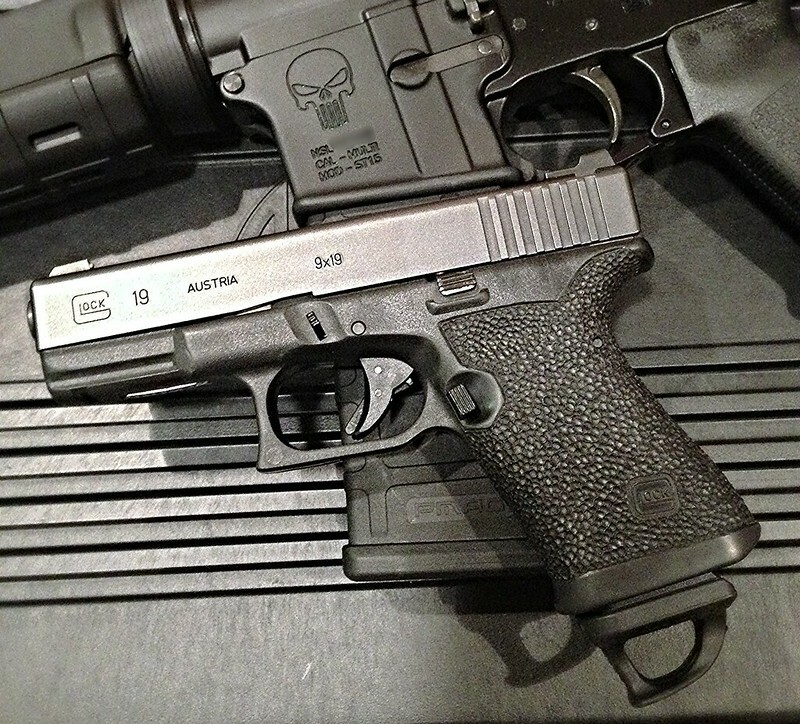 $150 is average for a grip reduction, stippling, etc. I sent a G19 frame to Dead End Gunworks. Got it back yesterday, and and loving it. 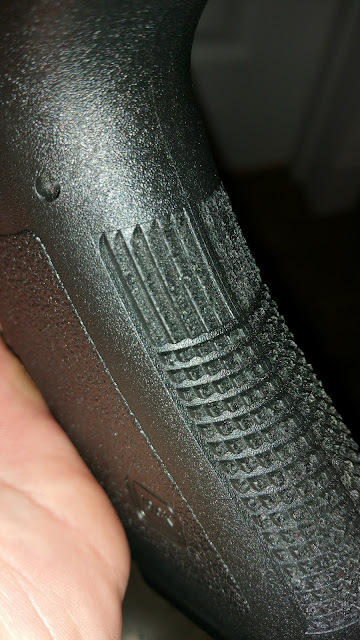 That's the best looking stippling I have seen. I usually hate all the jobs I seen and think it ruins the gun, but I like this one. I do my own with a soldering iron. It's going to get clogged up with dead skin, sweat, and dirt anyway so I can't justify paying someone else for a prettier looking pattern. 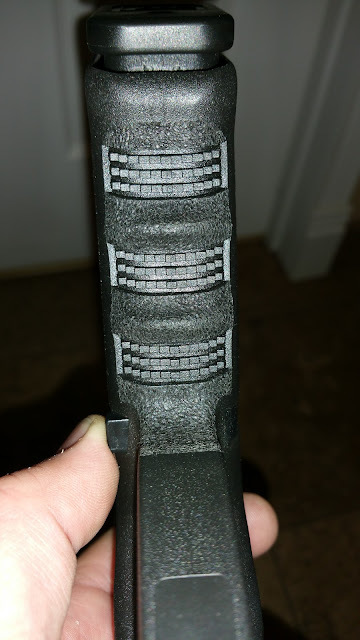 I have done a minimal stippling job on my Glocks. Did it with a fine tip soldering iron. I only do the finger bumps on the front of the grip, and then on top of the "checkering" on the back strap of the grip. It is almost invisible until you hold the gun but it makes a BIG difference in the feel. Really locks the gun into my hands. 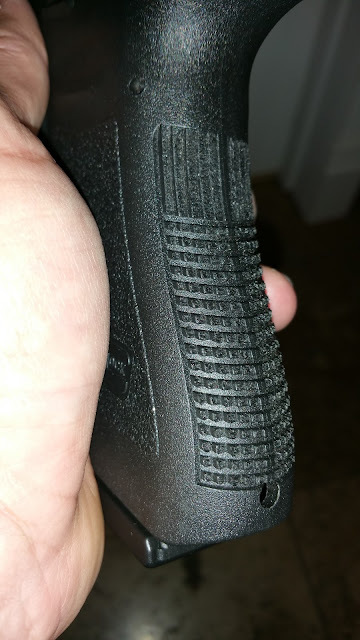 Also, since it is not on the side surfaces of the grip, it is not uncomfortable if I am carrying concealed and it happens to be touching bare skin.